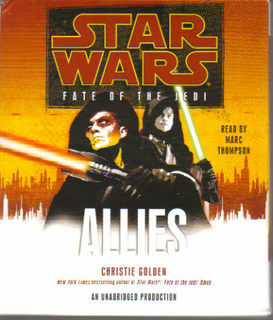 Christie Golden’s Allies certainly kicked the series into high gear and the events in that novel certainly pushed Troy into the enviable role of having to now keep all the levels that were reached from dropping; the situation at the Jedi Temple has reached truly terrifying extremes while Luke and Ben face Abeloth on one side while trying to maintain some sort of peace with the Lost Tribe of the Sith on the other. Not only was this a helluva act to follow, but also something that had to be done in such a way as to keep the various plot-threads going as well as upping the tension our heroes face. This is where I take my hat off to Troy, Christie, Aaron , Shelly and Sue – because Vortex succeeded. In my opinion, Fate of the Jedi needed an onslaught of thrills and tension and horror, which Christie provided with Allies, and Troy had to replicate this without overshadowing Christie. How did he do this? 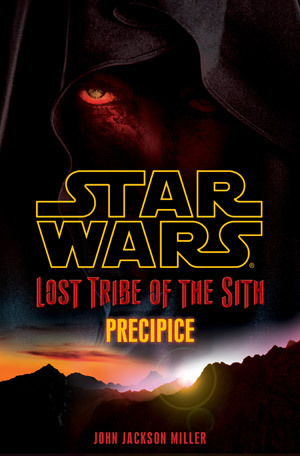 Well, let’s look at the plot as it stood at the end of Allies: Luke and Ben, along with Jaina and Lando’s help, had reached Abeloth’s planet with the Lost Tribe of the Sith strike force, and had defeated Abeloth. On Coruscant, the Jedi Temple was under siege, encircled by Mandalorians (will come back to them later), and under massive pressure from Daala to give up the insane Jedi. The Jedi are slowly fracturing under the pressure, and even Jaina and Jag’s relationship has suffered. If there’s one thing that Troy truly excels at, and consistently, its characterization. 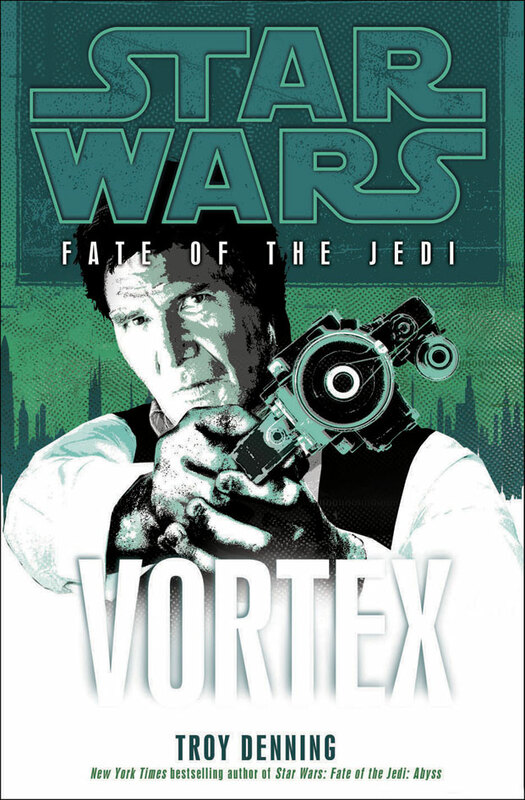 In Vortex, Luke is beginning to show signs of strain and dread – he’s not on Coruscant, though he knows what’s happening there; he has to keep an eye on his son and the Sith Apprentice who is doing everything in her power to wrest Ben from him; and he has to contend with the Sith and a being as ancient and twisted as they come. Talk about a Jedi Master (never mind Grand Master) having a full plate! It was great to see Luke in such extremes – it’s too easy to think of Vader’s son as this above-reproach, uber-Jedi who has all the wisdom and talent of the entire Order distilled in him, but Luke is a human being before all of the above and Troy brings that wonderfully home in Vortex. One character that irritated me beyond all forberence, however, was the leader of the Sith – Troy did an excellent job with him! The Sith leader is the under massive pressure to lead his forces to victory and is also in way over his head; pompous Sith means dangerous Sith, adding yet another headache for Luke to contend with. What Troy also kicked into high gear was he really made me see the Jedi in a new light – these Jedi are reeling and most definitely on the back-foot. More so, I think, than even during the Yuuzhan Vong war. I’m not talking attacks and deaths – I’m talking their sense of purpose, their place in the galaxy, etc. This, more than anything else, leads me to believe that we will definitely be ending this series by knowing just what the ‘Fate’ of the Jedi is. I truly hope so, because this series needs to fulfill the promise broken by Legacy of the Force – we need to know. If you haven’t started reading Fate of the Jedi yet, get to it! This series is definitely getting better and better! I gotta take my hat off to Kevin Thomsen and Marc Thompson – the guys consistently bring their A-game and produce awesome audiobooks! Kevin’s choices of scene-music and sound effects were were perfect, adding just that extra layer of emotion to already hectic scenes, really adding the sense of enjoying a ‘mind-movie’, and Marc does perfect voices – Luke’s wisdom, Ben’s impatience, Daala’s arrogance and Abeloth’s utter creepiness all come through wonderfully. Really, treat yourself to the entire series! Get your audiobook here: Amazon US, Amazon UK, Kalahari.net. Fate of the Jedi, is, so far, one of the strongest storylines post-NJO (New Jedi Order). If you look at the progression of the storylines from the New Jedi Order, it seems as if there is a definite plan, even though it’s probably impossible to plan so far ahead. As things stand, Fate of the Jedi is a vast improvement on Legacy of the Force, and Christie Golden proves with Allies that she can stand proud among the best authors in the EU: James Luceno, Troy Denning, Karen Travis and Aaron Allston. The greatest strength of Allies was the way Christie handled the characters; Luke and Ben, allied with Sith and aimed at Abeloth, are in the tightest of spots, and their POV sections are filled with tension and intrigue. But Christie also manages to inject some sharp humour and drama, too, and the conflict between Ben, Vestara and Luke was definitely one of my personal highlights. Han and Leia take a bit of a backseat in Allies, their roles more that of holding down the fort and supporting the Jedi as they can, and even though they aren’t really in the spotlight that’s fine with me – they are, after all, grandparents, and can’t be as active as they were for much of their lives. Another excellent character, one that’s been steadily getting more of the spotlight, is Daala’s aid, Wynn Dorvan Christie manages, as both Aaron and Troy have, to keep him an ambiguous character, but it is in Allies that Wynn really begins to show the shades and colours that make him a truly interesting and fun character to read; I’m looking forward to seeing what Wynn’s place in the GFFA becomes, should he survive this series. Two of the most intense moments of the novel involve Jaina Solo and Tahiri Veila, and Christie brought tears to my eyes with these scenes; seriously, I was sitting at work, listening to the audiobook when I heard these scenes, and I had to swallow a couple of times to hide my reaction from my colleagues. These scenes were right up there with tear-jerkers such as those that Matthew Stover, Karen Traviss, RA Salvatore and Troy Denning have brought us. Plot-wise, Allies impressed me no end – in Legacy of the Force, the Second Galactic Civil War fizzled out towards the end of the series, but all the storylines in Fate of the Jedi are important and handled as such. Christie manages to bring a couple of plot-threads to a close while seeding those endings with the beginnings of yet more mysteries, and the thing is, it didn’t seem forced at all. There’s two very important things that any Star Wars EU novel should do – capture the characters and ensure that the plots reach a proper conclusion. There can’t be any shortcuts in the EU (the best example of this would be, in my opinion, James Luceno’s absolutely brilliant Cloak of Deception) and Christie doesn’t disappoint. 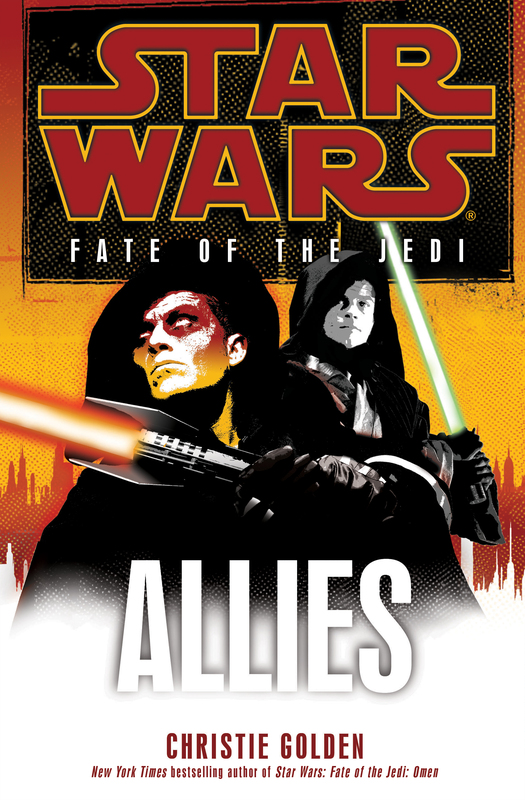 Allies isn’t a thick book filled with events just for the sake of it – everything that happened pushed Fate of the Jedi faster and harder, just as Sacrifice did for Legacy of the Force. It seems to me that Fate of the Jedi has certainly been kicked into high-gear with Allies and to say that I’m excited for the rest of the books in the series would be a massive understatement! All in all, definitely the best book of the series so far, and Christie has definitely cemented her position as one the best authors writing in the Star Wars Expanded Universe; very highly recommended! 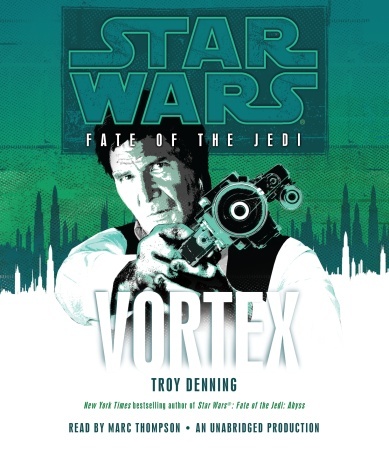 All I’m going to say is this: Marc Thompson, Kevin Thomsen and all the people that work on the audiobooks, should get salary increases (and big one’s) so that they never stop doing Star Wars audiobooks. The best Star Wars audiobook I’ve listened to! The fourth book in the series, going on the title alone, seemed to promise quite a bit, but I was ultimately disappointed by it. It’s not one of the most terrible Star Wars Expanded Universe novels I’ve ever read (not by a long shot) but my hopes for it were disappointed. Allies follows Luke and his son, Ben, as they try and track down Vestara Khai, the Sith girl they ran across in Troy Denning’s Abyss; meanwhile, Han and Leia have transported the insane Jedi that they saved to the Transitory Mists, away from Chief of State Daala; the Moff-plot against Chief of State of the Galactic Empire, Jagged Fel, is picking up speed (mixing the Solo’s daughter into the action); and Daala herself is seemingly becoming desperate to teach the Jedi a lesson. Added to this mix is the weird and terrifying thing that Luke, Ben and Vestara came across in the Maw, the thing named Abeloth, and the fact that the Lost Tribe of the Sith are flexing their muscles and Force-abilities – this all could have led to some very interesting plot-arcs. Instead, we are taken on a kind of anthropological lesson on how the various tribes on Dathomir operate – interesting in and of itself, but the storyline took too long to reach the point that aiming for: Luke and Ben finding out just why Vestara had aligned herself with the tribe of Dathomiri. The outcomes here are surprising enough, with some interesting territory being approached, especially as concerns the Jedi and the Sith, but I felt, unfortunately, that this whole Dathomir storyline was a waste. More of Ben’s detective skills were on show, and there were some pretty cool action sequences involving Rancors and the witches of Dathomir, but that was about it – the climax of the storyline, while interesting and cool, just didn’t seem to justify all the build-up. Han and Leia’s part the storyline wasn’t really needed, either, though it was great to see Allana get more of the spotlight and fly her grandfather’s revered ship, the Millennium Falcon – which is probably why Han and Leia met up with Luke and Ben, to give Allana this chance. It’s only when the Solo’s return to Coruscant that their plot-arc in Backlash becomes really interesting, what with the dynamic between themselves and Chief of State Daala. I’d have to say that Backlash was, so far, the weakest novel in the Fate of the Jedi series; it has Aaron’s trademark humour and great action sequences but I feel that the whole jaunt on Dathomir could have been made stronger (how, I don’t know). 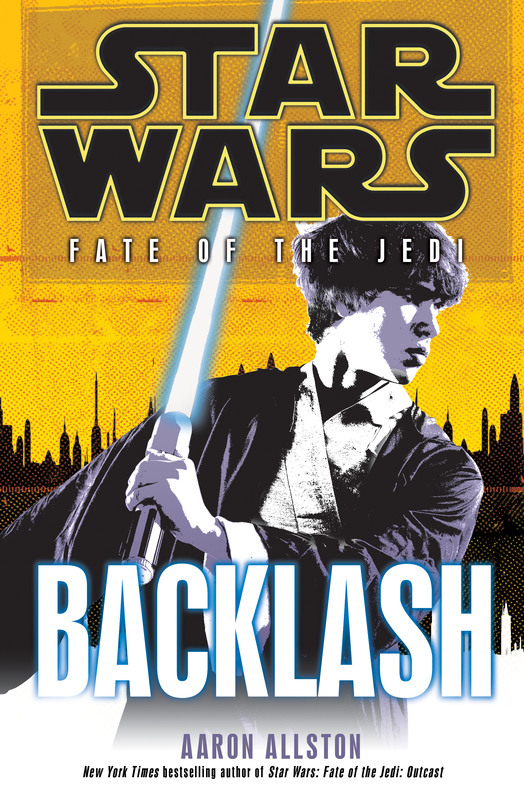 I’m not sure if Aaron’s health problems had any impact on the story (and I can understand if it did), and Backlash is not a terrible novel – it’s just not as great as I expected, and nothing substantially big was added to the storyline that the various characters find themselves in during Fate of the Jedi. I am, nonetheless, looking forward to Allies! To order the hardcover of Backlash, click here for Amazon US and here for Amazon UK; to order the audiobook, here are the Amazon links (US and UK) and the link at Audible. Also, check out the official Fate of the Jedi website and the official Star Wars website. Also, here’s Aaron’s website. Reading John’s Lost Tribe of the Sith stories, the Fate of the Jedi novels and then Paul’s Crosscurrent brings it home that Del Rey has a pretty comprehensive plan for the Star Wars Expanded Universe, post-Yuuzhan Vong and post-Darth Caedus. Not only does each story arc link together, but each story is made better by these links, in my opinion. 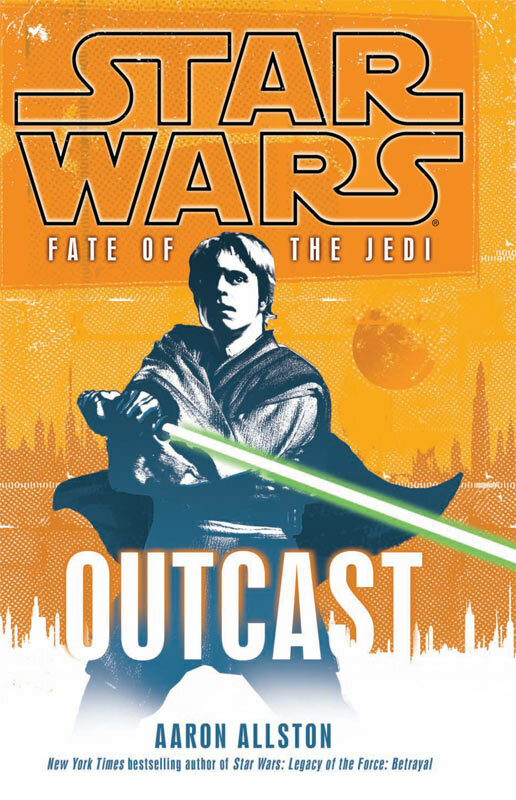 In the New Jedi Order, we were treated to a story that stretched over five years, included hundreds of characters and events, but which, ultimately, revolved around the Core characters; what Del Rey and its authors are doing now is going one step further – Fate of the Jedi focuses on the Core characters, but both Crosscurrent and Lost Tribe of the Sith work alongside FotJ, and work well, without having the Core characters in them. Sure, Lost Tribe is set 5000 years before the Battle of Yavin and Crosscurrent was set after the events of the Legacy of the Force, but didn’t bring in the characters we are used to reading about and expecting. 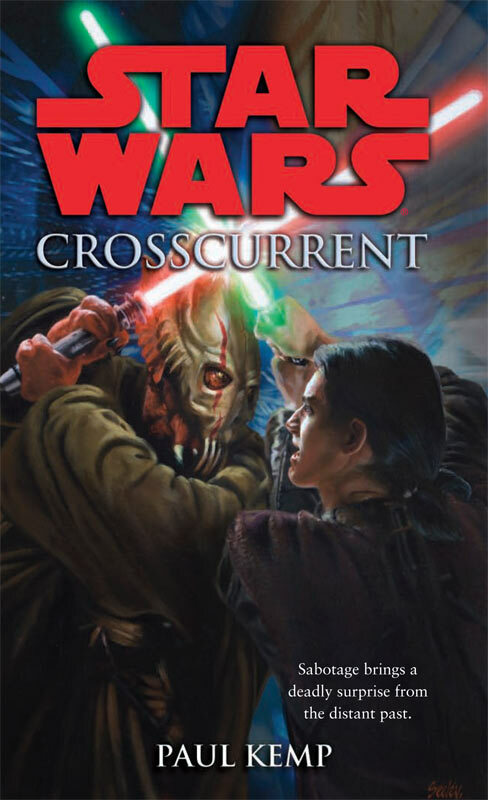 How these story lines mix and intertwine (and they will probably continue to do so, with Paul’s sequel to Crosscurrent and the rest of the Fate of the Jedi novels still on the way) perked my interest mightily, and I decided to get Paul and John together for a kind of round-table interview. 🙂 Here’s the result! Please tell us a bit about yourselves, how you got into writing, etc? I started writing comics and prose stories about the same time I started reading them. Reading good stories inspired me to try my own hand at it, and I kept at it over the years, writing my own short stories and producing my own small press comics and magazines. It’s funny, but later on, when I started writing professionally, I found I was drawing on a lot of those experiences when I was just writing things for myself. You need to write for more than just yourself, but you’ve also got to be happy with the work you’re doing, or nobody else will be. I’m Paul S. Kemp. I’ve been married for seventeen years to a lovely redhead (think Mara Jade, peeps) and we have twin five year old sons. We live in Michigan with a couple cats. My day job is corporate lawyer, which makes me evil. My night job is entertaining writer, which makes me good. So on balance, I guess that makes me about a neutral. Quite a lot. The movies and the comics based on them were a big part of my childhood and teenage years, and obviously the whole milieu has been a big part of my working life. I even edited a Star Wars collectibles magazine in there somewhere. Setting aside the fanboy glee I feel for being able to participate in a small way in Lucas’s brainchild, (and here speaking of the movies) I think it’s one of the best fictionalized demonstrations of the Campbellian Hero’s Journey ever made. It’s really a modern myth, which explains why its such a phenomenon from generation to generation. I’d been doing more writing in the EU, including some short fiction, and I was always looking for an opportunity to do more. Del Rey and Lucasfilm approached me in early 2009 about creating a supporting storyline that would fill in background about the Lost Tribe of the Sith, right from their beginnings. The authors of the Fate of the Jedi series had come up with a fairly detailed look at what the Lost Tribe was like today, along with details about how they got stranded in the first place. Most of the intervening years were left available to interpret. We did some coordination to make sure that nothing we came up with caused problems later on, and that “Crosscurrent” and “Lost Tribe” worked together properly. Since I was starting back five thousand years earlier and working forward, I saw part of my role as illustrating how the Sith got from Point A to Point B. The Sith we saw in the Golden Age of the Sith stories really didn’t have complicated infrastructures or military bureaucracies that we saw — but they needed underlings to be able to run missions like bringing back the Lignan crystals, and of course, the Lost Tribe evolves a fairly detailed command structure. There was also the matter of species to deal with, since the Tribe that we saw was not just human, but also striving for human physical perfection. Both of those things suggested that there was a lot more differentiation in the Sith than we initially saw in the comics — there had to be humans in the mix with some level of contact with outside cultures, even in the “hidden empire” years. The Lost Tribe had lightsabers without power packs; they had to get them from somewhere. That was the sort of thing I’ve sought to address, while trying to tell an engaging story. Many of the changes that help make the Tribe what it is spring from choices — and unintentional consequences of choices — that our characters made in the past. “Paragon,” the upcoming story, is pretty pivotal in this regard. My contribution here is pretty small. In my original pitch for Crosscurrent, I had included the existence of an ancient Sith ship carrying Force-enhancing ore (what would later become Lignan) that found itself flung into the future due to a relativity shielding malfunction. My editor (I think), saw some possible connections in that to the story the team was developing for Fate of the Jedi. So she asked me if I could include a second ship that doesn’t jump into the future but instead just misjumps in some way — all of this became Lignan, Harbinger, and Omen, which are the “connectors” between Crosscurrent and the much larger story in Fate of the Jedi. After that decision was made, I traded emails with some of the authors doing FotJ and JJM (John Jackson Miller), just to keep the various details correct. It was a great experience. Christie, Troy, and JJM (not to mention Sue, Leland, and my editor) were awesome to this Star Wars newbie. The stories you write are separated by thousands of years of history – how do you give a tale the hallmarks of the Star Wars universe while also giving the tale its own era-specific flavor? Oh, I think the trappings of Star Wars are always there. Beyond the physical things like the lightsabers and phenomena like the Force, a lot of the same themes are in play —good versus evil, redemption and betrayal, etc. Whatever the time period, it’s all Star Wars. Historical touchstones, mostly. Obviously there are some technological differences that get highlighted (ancient lightsabers are not “modern” lightsabers, for example), but little references to current events in the particular timeline can also ground the narrative in an particular era. When you sit down to write tales in the Star Wars galaxy, what’s the most important aspect of the Galaxy Far, Far Away that you want to capture? As I’ve said above — you want to make sure it feels all of a piece with the movies. It’s OK to branch out and explore new kinds of stories, but you don’t want the story to feel completely out of place and unconnected. The feel of stories is pretty important; Star Trek stories have a different feel from Star Wars stories, and so on. Readers tend to know when something feels like it belongs in a particular milieu. For me, the sense that Star Wars (and the EU) is a setting for myth-making. What I mean by that is that Star Wars touches on foundational moral questions by exploring through the lens of the Force (a kind of Manichean moral construct, really). Its themes are universal. I wanted to at least try and take a stab at that with Crosscurrent. Coming back to the current EU: with opinions divided on whether or not the Legacy of the Force series worked –comparing it to the New Jedi Order- do you think that the editors and authors of the EU now have a better understanding of how to handle these complex storylines? Dave, my experience is so limited that I can’t speak to that at all. I’ll say only that the folks I’ve worked with have been extraordinarily knowledgeable and helpful. It’s been a real treat. What would you say to writers out there who want to someday write in the EU? Any advice or warnings? Most licensed properties are invitation-only and don’t look at unsolicited submissions, and Star Wars is no exception. So the important thing is to get established — and that means writing for a variety of places and really polishing your skills. As a former journalist, I think all kinds of writing are important practice, from blogging to covering the sports for your local paper. It’s all about learning to communicate clearly, and to hit your deadlines. The same thing I say to any aspiring writers: read widely (and not just in genre), and learn what you can from great writers. Then, stop talking/thinking about what great ideas you have. Instead, put yourself in a chair and just friggin’ write. This is a craft. You only get better by doing it. Finally: what would be the one EU story you would like to tell, if you could? Heh! I don’t know – maybe a reality show following Lando’s life might be entertaining! I mentioned this in one other place, but I’d love to write Luke’s epic finale in the EU (if that finale were ever to come). Want more info on the authors and their work? Click on the links to head over to their websites: John Jackson Miller, Paul S Kemp. 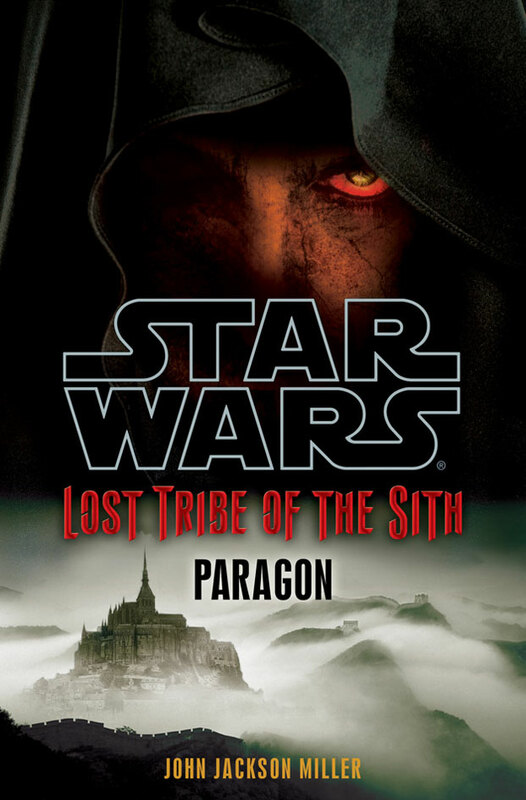 I’ll be reading John’s third Lost Tribe of the Sith story, Paragon, this week or next week, and then I’ll post a review of all three stories. Anyway, let’s get into the review! 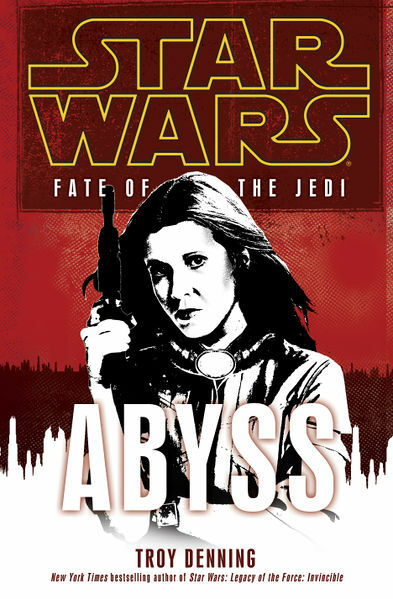 Abyss is the third book in the 9-Book Fate of the Jedi series, and the first book of the series by Troy Denning. 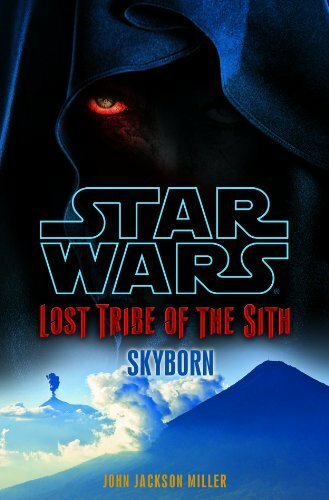 The main plots that unfurl in this book are Luke and Ben Skywalker’s time in the Maw, the discoveries of Vestara Khai and her fellow Lost Tribe-Sith, and the continuing battle of wills between the Jedi and Chief of State of the Galactic Alliance, Daala. If you haven’t yet read Book 1, Outcast (audio book reviewed here) and Book 2 (Omen, reviewed here), then don’t pick up Abyss. You wont know what’s going on, who’s who (especially the new characters such as Vestara) and you’ll end up feeling a bit bewildered. In fact, if you haven’t read at least the Legacy of the Force series, don’t read Fate of the Jedi; there’s just too much that has happened in the Expanded Universe that you missed, and that you need to know about in order to understand the character’s motivations in this series. Abyss was, while not remotely the best work that Troy has done, both better than Outcast & Omen, and at the same time, not as good. 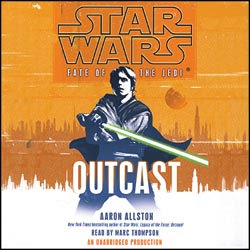 You see, Outcast set the tone for the series, introducing some of the major plot lines, and Omen introduced yet another plot line (that of John Jackson Miller’s Lost Tribe of the Sith); Abyss changes the game up a bit, bringing in a new character, but not much else changes – on Coruscant, the Jedi are still floundering their way through Daala’s unwholesome attentions, and the Jedi Knights are now dropping like flies (not dying, going insane), while Luke and Ben begin to take a closer look at the Maw, the roiling mass of black holes close to Kessel, because of a discovery made in their time with the Aing-Tee monks. It’s more of the same, in my opinion, and the new storyline-additions don’t offer much in the way of variety or newness. Is this a case of being careful with the story, and not throwing in too much, or a case of being too careful, and taking too long to move tha tale forward? Only hindsight will tell. I am, I’ll admit, curious about the direction that Fate of the Jedi is taking – the Jedi are really being shaken up and rattled around, and I can’t see the Order regaining their balance and status any time soon, if at all, after this series. If the Order did somehow manage to come back from the anger and distrust facing it now, it would have to be something incredible. I’m also intrigued about what is being discovered about Jacen Solo / Darth Caedus by Luke and Ben Skywalker; on the one hand, it seems that Jacen / Caedus just didn’t really use what he learned to do on his 5 year journey (during the Legacy of the Force series), and on the other hand, we are being shown a side of Jacen that paints him, and this is weird, as a better person and Jedi than Luke Skywalker. There’s just something about the way Jacen is remembered in Abyss by the various characters that Luke and Ben meet that doesn’t gel properly – sure, I know that he only embraced the name Caedus after murdering Mara Jade Skywalker, but it just seems that something else, other than Verger and Lumiya, happened to Jacen. The case being made at the moment suggests that Jacen was preparing for a threat that Luke and Ben are only now discovering – and this, unfortunately, just doesn’t gel for me. The reason that Jacen become Caedus was to attain and use power so that he could bring peace to the galaxy; so far in Fate of the Jedi, it seems that Jacen discovered an actual, looming threat which has nothing to do with governments pulling out of the GA (in Legacy of the Force). Troy pushes many of the characters to their limits, throws some great action set pieces our way, and takes us a bit deeper into the politics, scheming, and increases the stakes by showing us how the events taking place around the Jedi are leaving them more frantic and reactionary that they’ve ever been – after Order 66, there wasn’t an Order left, and the Order was way more capable during the Yuuzhan Vong invasion that what it seems to be now. All in all, while I enjoyed Abyss and am still intrigued by Fate of the Jedi, it seems that the story hasn’t yet completely found its feet; it’s not something you can really blame on Troy or Aaron or Chistie (considering how such a series is put together in the first place), but it does have me concerned. I wouldn’t want to see the madness plaguing the Jedi or the information revealed about Jacen’s journey become a plot point that is readily cast aside – as happened with the Second Galactic Civil War in Legacy of the Force. To order your copy of Abyss, click here for USA, here for UK, and for those in South Africa, order your copy here or visit your closest Exclusive Books branch. And if you want some for information about Fate of the Jedi, click here for the Wookieepedia page. Book 2 of the 9-book series that follows on from the events of the Legacy of the Force sees the Jedi falling into chaos, and the only person who probably has a hope of saving them -Grand Master Luke Skywalker- has been forced into exile. Looking back at the disjointed spectacle that Legacy of the Force became, there is a sense of Slow and Steady Does It with Fate of the Jedi. Book 1 of the Legacy series, Betrayal, rocked the whole Star Wars galaxy by showing how one of its biggest heroes, Jacen Solo, murdered a fellow Jedi Knight and chose to become a Sith Lord. After such a huge beginning it was almost impossible for the series to end on an even higher note, not to mention sustain the pace that was needed after Betrayal. Fate of the Jedi begins with Jedi going insane and Luke Skywalker being exiled – huge events, sure, but nowhere near the events in Betrayal – and Book 2, Omen, introduces a group of long-lost Sith who have been cut off from the galaxy for thousands of years. These story-arcs are, in my opinion, very exciting and promising, because I’m pretty sure that Sue Rostoni and the gang learned a lot out of Legacy of the Force. You see, Omen is not as good a book, event-wise, as Outcast was, but in my opinion, it’s an excellent part of the series. Luke Skywalker and his son, Ben, meet the Aing-Tee monks, mythical Force users that were visited by Jacen during his 5-year odyssey, and who have a reputation that most sane citizens of the galaxy do well to take into account before venturing into their territory, being the Kathol Rift. On Coruscant, Leia Solo, her husband Han and daughter, Jaina, are in the thick of a growing hatred and mistrust of the Jedi, and things aren’t getting any better; Chief of State Daala is getting all the fuel she needs to take on and cow the Jedi. 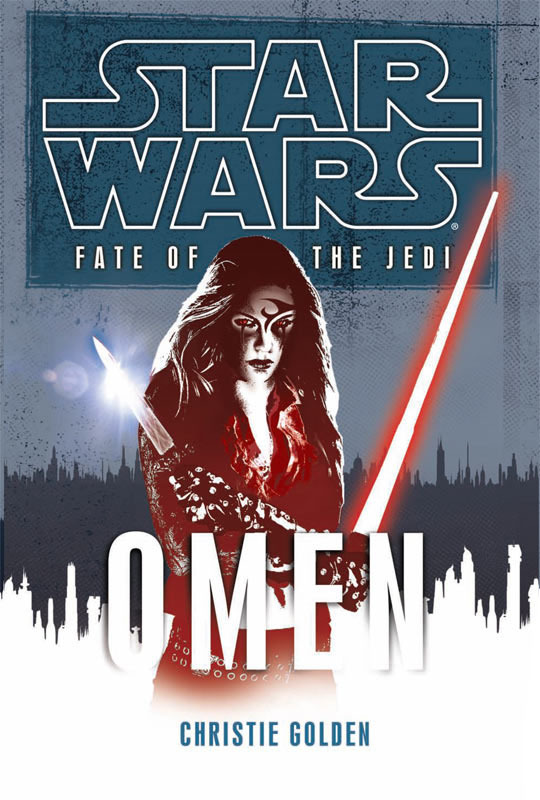 Omen is a short book; most readers will probably finish it in a day or two, but it’s expertly-paced and filled with info and interesting characters, especially Vestara Khai and the hidden enclave of Sith. All of you should know where these Sith came from thanks to the great eBooks from John Jackson Miller, Precipice and Skyborn. These stories introduced us to a group of Sith from the era of Naga Sadow who were on a very important mission during that destructive war between the Sith Empire and the Galactic Republic. The descendants of these Sith now take center-stage in Fate of the Jedi, and even though they don’t have such a major role to play, a dropped story-arc from Legacy of the Force is explained and given a new direction; I’m really excited to see what happens with these Sith, even after I heard rumors about what might be happening in the next couple of books in the series. I’m talking about Han Solo. The thing that bugs me is that Han has become a two-dimensional character, no matter who handles him. When Chewbacca died in Vector Prime we met a Han that had great emotional depth, and we went on a journey with Han as he battled to sort through his feelings of grief and loss and anger and find his place in the world again. Han’s descent into 2-bit comedy-relief began in Legacy of the Force and has continued, and it breaks my heart. All he basically does in each novel is take part in action sequences and make funny quips, and after what he went through after Vector Prime, he’s become, well, a disappointment. All things considered, though, Omen is a great novel, and a strong addition to the Fate of the Jedi series. Things are being put in place in this series that will have repercussions, I’m sure, for a long time, and for the whole Star Wars galaxy. 🙂 Well worth a read! No, I haven’t yet had the chance to read the book – that’ll be coming up soon, though, since my beautiful hard cover arrived on Monday. 🙂 But I did manage to listen to the audio book. So, the Legacy of the Force series has come to a close (I say it hasn’t, since there was no real ‘Legacy’ evident at the end of the series) and a couple of years have passed. The Second Galactic Civil War has also ended, but the after-effects of this event are still being felt. There is a growing mistrust of the Jedi, and many see them as above the law elitists. At a time when bad publicity is the least needed, the Jedi son of one of the Order’s most respected Masters goes rogue, mobilizing the Chief of State of the Galactic Alliance into action – while the Jedi try to pin down the cause of the malais that struck one of their own, Natasi Daala brings Luke Skywalker to task for allowing the once-hero of the New Republic and Galactic Alliance, Jedi Knight Jacen Solo, to become Darth Caedus. I’ve been waiting for something like this to happen, to be honest. I mean, Kyp Durron destroys the Carida system, murdering billions; Corran Horn’s misplaced trust in the Yuuzhan Vong commander, Sheddao Shai, gets Ithor destroyed, and before it all, Luke’s own act of destroying the Death Star and causing the deaths of millions, was bound to lead somewhere. So bringing charges against Luke seems the logical step to take – after all, even if Jacen Solo had survived, how exactly would he have been punished? So Sith, not even Darth Vader, has ever seen the error of his / her ways – they believe (and this is the real reason why they will always be the biggest threat the Jedi will ever face) that they are right, that what they are doing is for the greater good (well, at least those Sith that have a measure of brains and vision). But the Jedi have no 5-year plan. For beings capable of using the Force to receive visions and glimpses of the future, they are very now-focused and reactive, and this is the main reason why I’m very glad to see this storyline in the Fate of the Jedi series. Call me a lover of what Karen Traviss did for Star Wars (and I am, through and through), but there hve to be consequences (and therefor, a measure of reality) for what the Jedi have been doing for the millennia they’ve been around. Having Luke realize that it is a neccessary path was one of my fist-pumping moments, and it was also a storyline that Aaron handled extremely well. We do, after all, have to see and understand both sides of the argument. The trip that Luke and Ben go on to try and retrace Jacen’s footsteps during his 5-year Odyssey is a bit of a reach, though I can understand that it’s a neccessary plotline for Luke to be able to get a sense of Jacen in those situations – in certain respects, Luke knew Jacen better than his own parents. I would have substituted Ben Skywalker for Jaina Solo, though. Not only would that have made for some very interesting story-arcs with Ben on Coruscant, but it would have given Luke and Jaina the opportunity to really spend time together. Granted, Aaron did pull it off, and the glimpse into the world of Dorin and the Baran Do Sage’s was interesting but ultimately of little value – the only story-driving point being that father and son now know where and how Jacen learned one particular ability. The storyline gets a solid 7 / 10 from me. Marc Thompson does a stellar job of capturing the voices of the characters – he’s a veteran now, so he should, but he always puts in effort, and it definitely comes across. You can also hear how much he enjoys what he does, which is great! To order your copies of the audio book, click here for the US and here for the UK; to order your copies of the book (still in Hard Cover), click here for the US and here for the UK; for those in South Africa, please use this link.